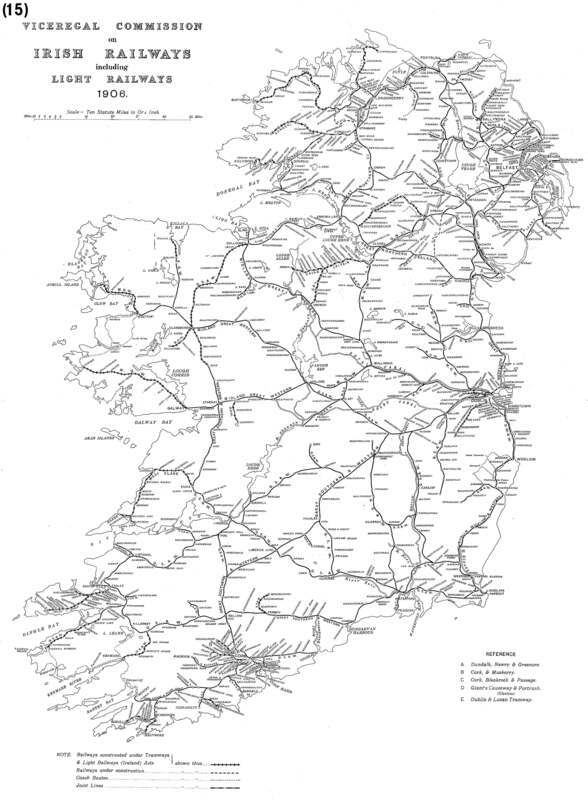 All Irish towns within five miles of rail in 1890? In the spirit of PolitiFact.com, the U.S. politics fact-checking website edited by my wife, I decided to take a closer look at the two statements. Surely the first statement couldn’t be true, I thought. The date is close to the 1888 opening of the Lartigue monorail in north Kerry. 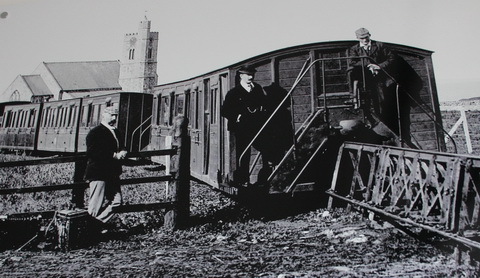 The unusual train linked the mainline railroad at the market town of Listowel to the seacoast village of Ballybunion. So what about the second part of the statement, that Tyrone, Fermanagh and Donegal lost train service more than 60 years ago? That’s 1954. This linked list shows the opening and closing dates for dozens of Irish railway stations. Carrickmore in Tyrone closed 15 February 1965; Enniskillen in Fermanagh shuttered 1 October 1957; the first of January, 1960 was the end of the line for the station at Donegal. That could and should be argued at greater length by Irish politicians and their constituents. As for Ó hÓisín’s comments about no Irish town being more than five miles from rail in 1890, and the three northwest counties being without rail for more than 60 years, this fact-checker rates both statements as false. This entry was posted in Business & Environment, History, Northern Ireland and tagged Donegal, Fermanagh, kerry, Lartigue, Tyrone on February 14, 2014 by admin. On the one hand, there was the majesty of its scenery, its wild and varied landscape which pushed out into the Atlantic Ocean in a series of peninsulas. Those peninsulas, and the islands off them which marked the most westerly point in Europe, contained a unique heritage of ecclesiastical ruins, archaeological remains and popular folklore which, as well as its scenery, made the county a prime destination for tourists. On the other hand, there was the misery of endemic poverty, of a subsistence existence in the countryside and along the coasts which occasionally strayed close to famine, and which forced generations of Kerry people to leave in search of a basic living. Back then a nationalist awakening was welling throughout Ireland. 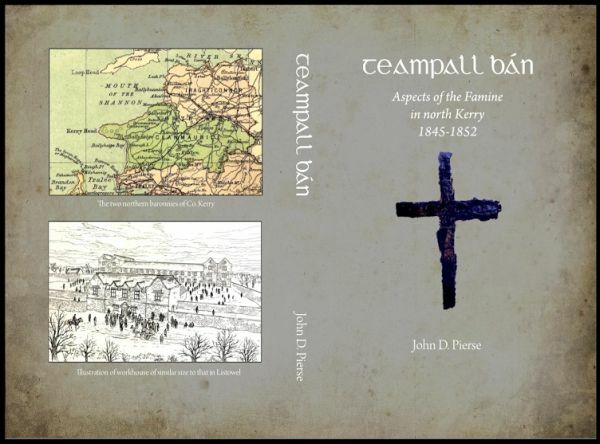 People were rediscovering Irish heritage and resisting English rule from across the sea. The Gaelic Athletic Association was created in 1884 to promote Irish sports. The Gaelic League was formed in 1893, a year before Willie’s birth, to revitalize Irish language and culture, which the English had suppressed for centuries. The 1880s brought new efforts to secure land reform by reducing excessive rents from absentee English landlords and opening the way for property ownership. There were brutal evictions and resistance often involved violent tactics and civil unrest that caused the struggle to be known as “the land war,” or Cogadh na Talún. Kerry was at the center of such violence, euphemistically known as agrarian outrage. On the political front, nationalist leaders such as Charles Stuart Parnell lobbied to obtain domestic autonomy for Ireland, called home rule. Parnell died three years before Willie’s birth, but the home rule effort continued in Ireland as he boarded the Baltic in May 1913. His departure came at the eve of a decade-long revolutionary period that including the 1916 Rising, the War of Independence, partition of the northern part of the island and civil war in the new southern Free State. 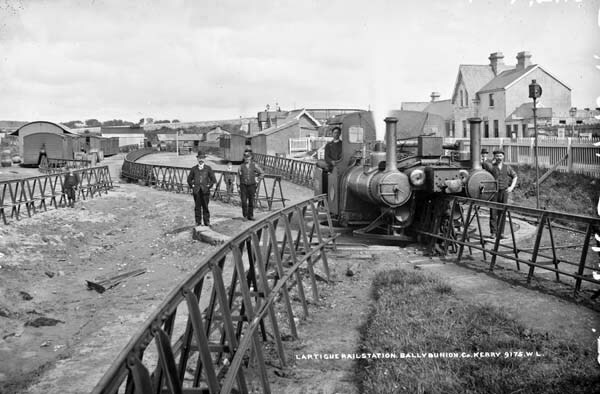 One of the more peculiar aspects of Willie’s life in north Kerry was the unique monorail that linked Ballybunion to the mainline trains at Listowel. Opened in 1888, the strange-looking locomotives and other cars draped saddle-style over a single rail fixed atop 3-foot-high support trestles. The system was named after its creator, French engineer Charles Lartigue. 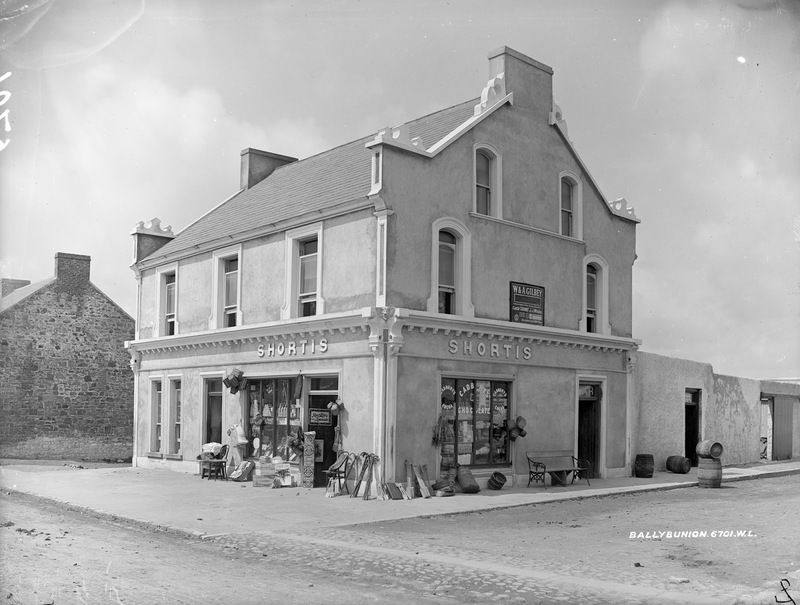 The 9-mile Lartigue short line helped bring visitors and commerce to remote Ballybunion as it attracted photographers and writers to the area. For example, a January 1898 story in London’s Strand Magazine described Ballybunion as a “beautiful seaside and health resort” and boasted “the advantages of the [Lartigue] system are its great safety, and that the line can be quickly and cheaply laid.” Stories about Kerry’s odd railway also appeared in American newspapers and magazines. In 1913, the Lartigue had a record ridership of more than 73,000 passengers. But some of these were people leaving Kerry forever. 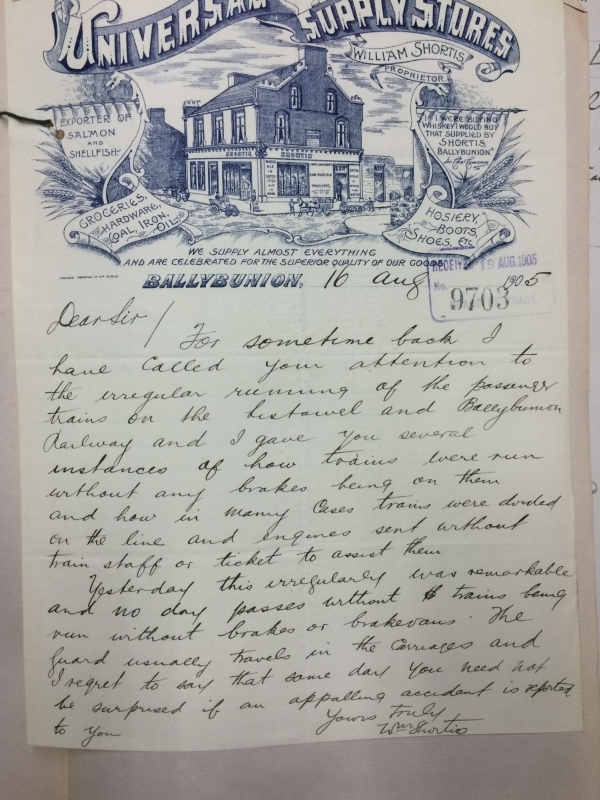 The station at Ballybunion not only welcomed summer visitors but also sold tickets to the great ocean liners making regular voyages to America and Canada. 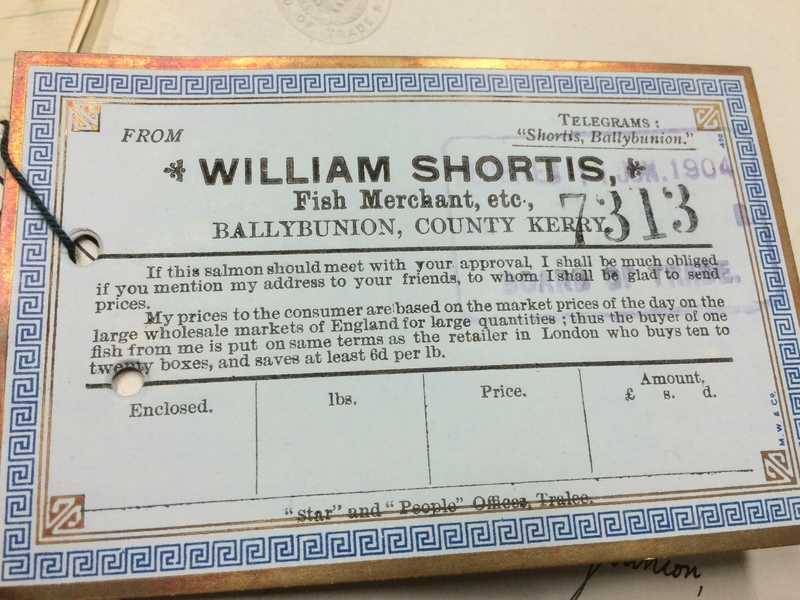 For emigrants like Willie, the single-line railway was a one-way road away from home. This entry was posted in History, Irish America and tagged emigration centennial, kerry, Lartigue, monorail, Willie Diggin on May 3, 2013 by admin.